Tactics 2 - How many armies to use? Diplomacy 1 - What is Diplomacy? What is Risk Map Editor? "Every battle has been won before it's been fought"
Do you want to win in the game of Risk? Have you always wanted to win against your cousin in the game of Risk®? Do you feel frustrated when they gang up on you and you cannot do much about it? Or perhaps you made a reputation for yourself as the greatest Risk player ever, only to lose in the next game and the one after that! Read Total Diplomacy. This book aims to teach you how to beat them all in your own sweet way. But that’s not all. Learn how to use diplomacy effectively to get what you want in life. There is a lot to learn from history and its great leaders. You will see how you can apply this knowledge to negotiate more successfully and be in control of people. If you use diplomacy and psychology, in Risk board games, in online Risk games or in real life, you will certainly do better. As a minimum, you will be at a disadvantage if you do not use diplomacy against those who do. 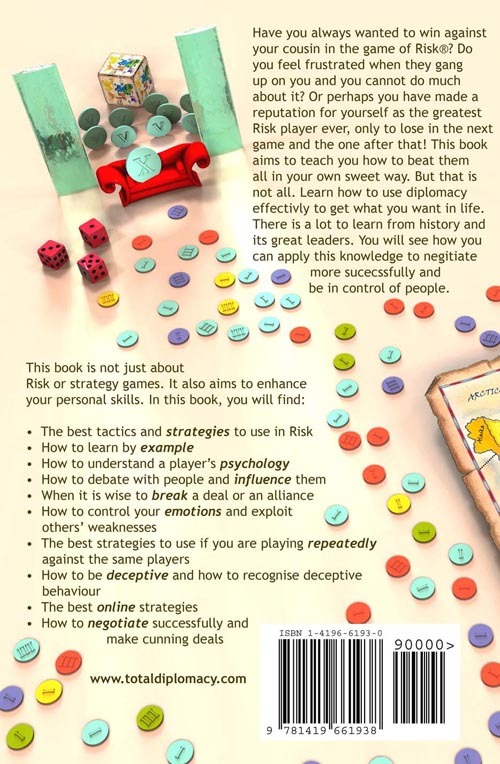 You will learn the art if influence and persuasion and will be able to apply it immediately to your Risk games. Any complex system can be exploited by its users. If you don't know how to handle an exploitation, you will be at the mercy of exploiters. Hence, you need to train yourself for all eventualities. It comes from indomitable will." You can read the Kindle version on any device where Kindle software is available including PC, Amazon Kindle, iPhone/iPad and Android phones. The PDF version is free from any rights management protection (DRM) and is designed to maximise your viewing capability on many devices. The Kindle version is the recommended format as it scales nicely on any device and is the easiest to read digitally. To view the PDF e-book on PC or other devices you can use the following: Adobe Acrobat Reader. "The Briton [Honary] is some kind of Clausewitz of Risk game." 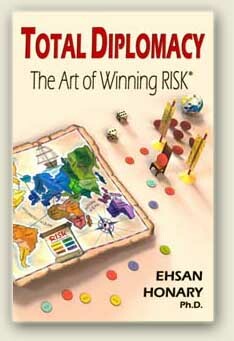 If you play Risk, any version of Risk, pick up this book, it is a must read. If you like games, strategy or you just want something to read, pick up this book. This book is so helpful and fun to read, every Risk fan should not be without it. For me, it is my Bible when it comes to the game of Risk." 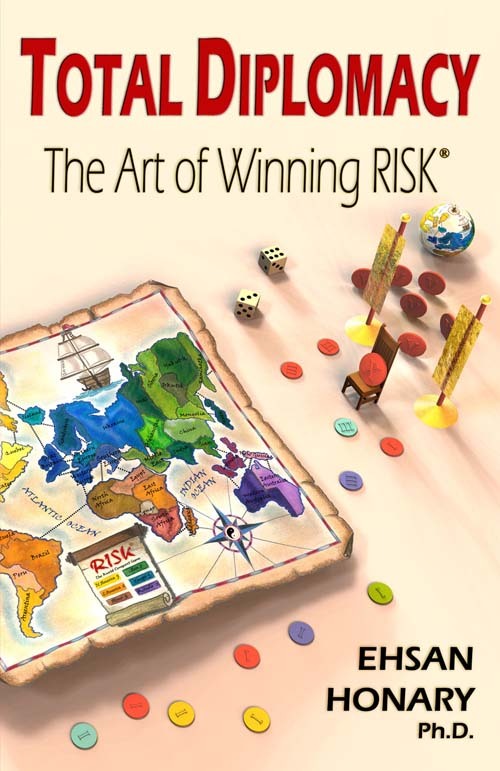 Overall this book covers almost everything a player needs to know about winning in Risk." This chapter introduces you to Risk. The game can be used as a tool in addition to an entertainment device. Risk is a multiplayer game that lets you practice many real-life skills such as negation, diplomacy, politics and psychological competition. While playing Risk (or anything competitive for that matter), you operate in three distinct parallel layers. These are Tactics & Logistics, Strategy and Diplomacy. Their definition and their differences are discussed in this chapter. These three layers are explained in detail in Chapter 4, 5 and 6. An important key is the psychological state of other players at any given time in the game. You need to exploit this to your advantage. How to you deal with an aggressive player? How do you exploit an isolationist? This chapter discusses your step by step thinking process, psychological profiling and associated concepts. You will learn how to work out the psychological profile of other players, what type of opponents you may find in the game, and what do you need to do against each category. In order to be able to look at the bigger picture with a long term strategy, you need to have control over the smaller issues. You need to master the rules and mechanics of the game (the environment) and move on to learn how to form a winning solution which will be your long term plan (strategy). A good tactic is only effective as a short term solution, though any good player needs to know them by heart. Specific Risk tactics are explained in detail with appropriate illustrations. Find out more in this chapter. To win in any competitive environment, you need to have a strategy. This is your overall plan. Historically, the rise of technology resulted in ever more complex strategies which eventually led to an operational strategy. This involved planning for efficiency of a nation at war as a whole and not just for the war activity itself. In this chapter you are introduced to philosophy of war. You will learn how to look at the big picture and how to exploit others weaknesses. A number of lessons from history shed light on how important it is to pay attention to all aspect of a strategy and not just on tactical levels. Diplomacy is the art and practice of conducting negotiations between nations. It concerns getting other notations to listen to you and negotiate over crises and resolve issues through peaceful means. In an ideal world, all issues should be resolved through diplomacy and no nation should end up with a war. This is why war is always seen as the result of a failed diplomacy. This inevitably means that the politicians involved in the diplomatical affair have not been able to do a good job or they would not have failed. You need to be a good politician. This chapter explores a variety of issues on diplomacy and the psychology of the masses and how can this all be applied to Risk. Use propaganda, verbal warfare, slippery slope arguments and other methods to beat your opponent in any conflict. Negotiation is a key skill in diplomacy and in day to day real life. It is essential to master it. In this chapter, tactics and techniques on different aspects of debating are presented. Effective debate is critical when playing Risk on a normal board game. You will learn how to influence other players to do what you want them to do. You will be introduced to various tactics used in negotiations and how you can get the best outcome. There are a number of techniques you can use to control people. Finally, you will be introduced to the art of deception. Hiding your true intention has always been an important element of strategic competition. Ever wondered if Risk has certain patterns that you can identify and exploit? This chapter focuses on the actual game play and the logical problem domain. Game theory has a large body of research in this regard which is sometimes directly applicable to Risk. For example, what are the best strategies to use when Risk is played many times? Can you get away with back stabbing? And above all, you can find all about turtles in this chapter! Risk was initially a board game mainly played in the living room. Recently, however, there has been a great rise on available options to play Risk on a computer and against other players online. Online Risk can be different due to limited communication channels and anonymity. The games are therefore played slightly differently and you need to be aware of an extra set of strategies suitable for online game play. This chapter explores these strategies. In addition, you will be introduced to the concept of BOMS graph that help to capture the essence of a game and illustrate the most important moves made in the game by players. You can use BOMS graphs to predict potential winners and losers. 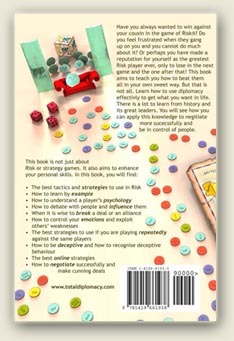 This chapter contains a number of scenarios and solutions specifically made to illustrate different aspects of the game. A player confronted with a scenario may have a number of options to follow. These are illustrated with figures. Best choice is then selected from the available options. This chapter attempts to teach by example. Military conquest is a matter of coordination not of masses. 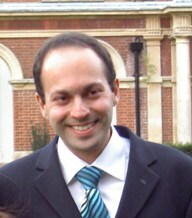 Ehsan Honary received his Ph.D. in Robotics from the University of West of England (Bristol) and his M.Sc. in Artificial Intelligence from the University of Edinburgh. His interests are in design of training courses, management training, psychology, automation, collective robotics and software engineering where he has made several publications. He was first introduced to Risk in 1990 and has been playing it ever since, given any opportunity! Despite his interests in other ‘serious’ disciplines, he has always managed to convince his family and friends that spending time playing Risk has many benefits other than the immediate joy. He has been an active member in the Risk gaming community. He lives with his wife in London, UK. 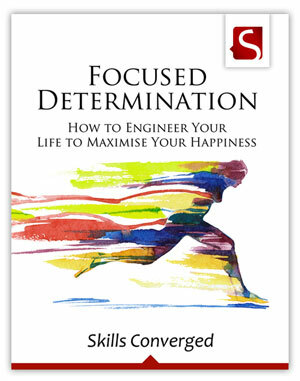 Focused Determination is a book on goal setting, success, motivation and ultimately happiness. This is my new book on this fascinating and important topic published under Skills Converged brand. If you like Total Diplomacy, then you may like to explore this book. Contains plenty of self-analysis exercises and inspiring stories on successful people.